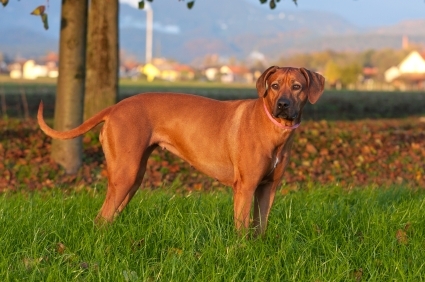 The Rhodesian Ridgeback (so called because of the ridge of hair growing the wrong way down its spine) is a large, powerful and speedy dog. He was once a hunting dog and guard dog. 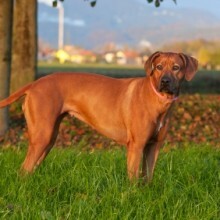 He is typically loyal and protective of his family but needs firm and experienced handling. He also needs to live in a house with a garden and should have plenty of energetic exercsie. His coat is short and needs grooming once a week. Average lifespan 9 years.